the Portuguese Man of War is not a Jellyfish but a Siphonophore! 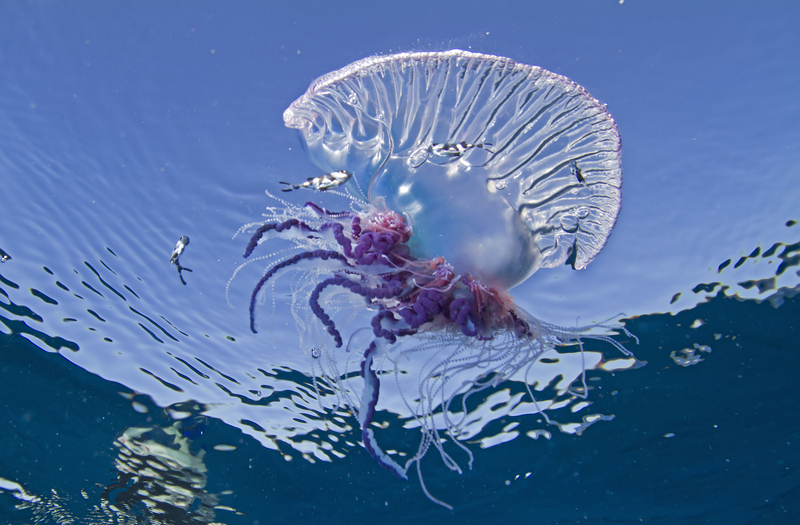 The Portuguese Man of War or Physalia is a siphonophore floating at the surface of the ocean like a drifting balloon with deadly tentacles waiting to capture careless preys. Its body looks like a sail that catches the ocean wind to propel itself. 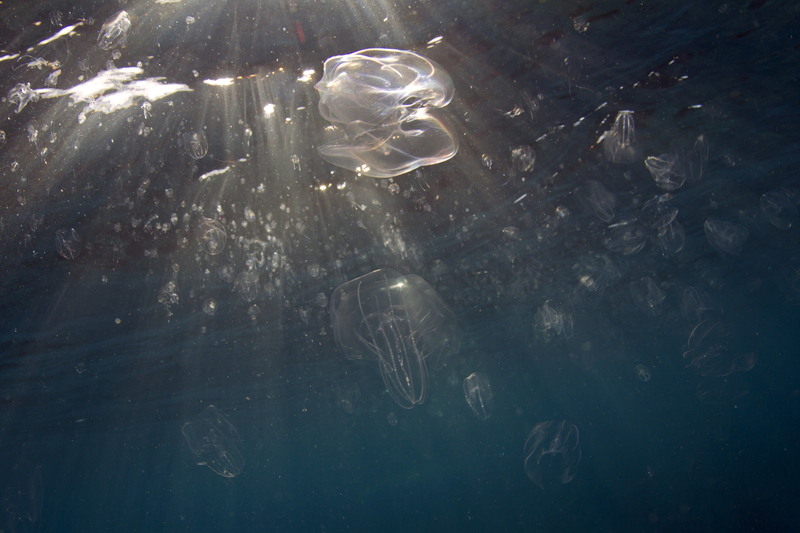 The Portuguese Man of War Fish or Nomeid seems to be immune to the powerful sting of the Physalia. 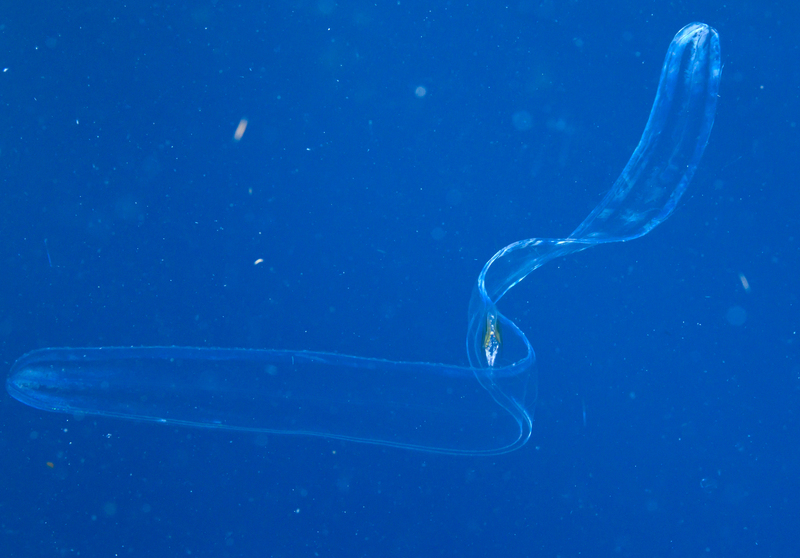 It is actually a very agile swimmer that can avoid the stinging tentacles.It uses this deadly siphonophore for shelter against predators and can also feed on some of the smaller tentacles that do not seems to have a strong sting. Our favorite, the Venus Belt! Nice to see this one in color! 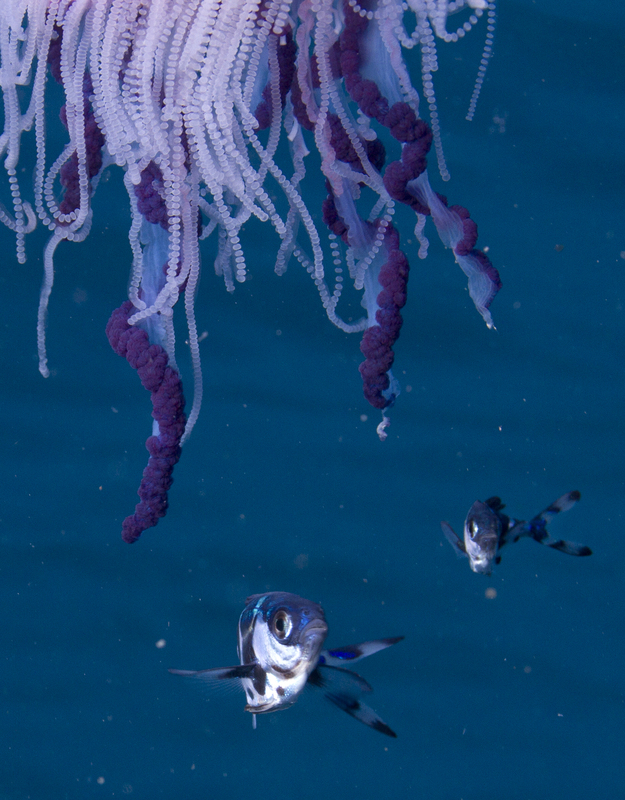 If you click on the this amazing picture you will see a small fish larvae seeking shelter among the salps. very neat! 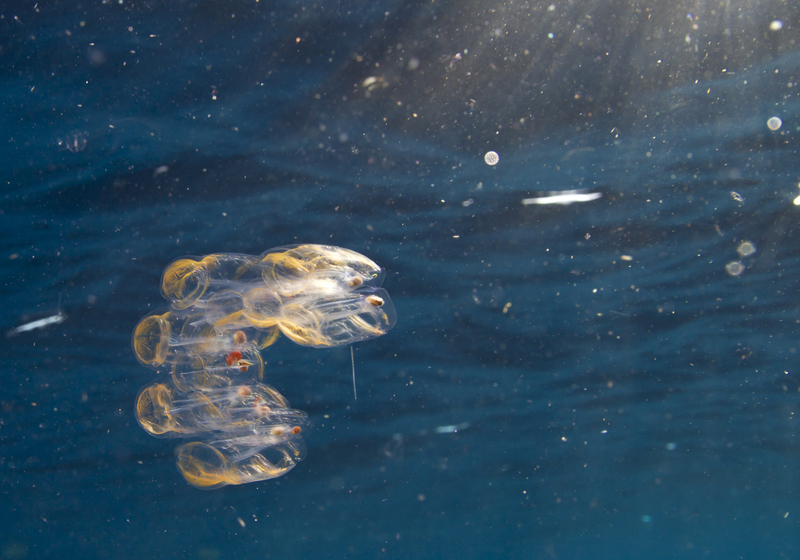 This entry was posted in Oceanography, Plankton, Science, Uncategorized by cguigand. Bookmark the permalink. Hi I would love any copyright information you could provide about using the photo “ctenophore bloom” as a cover for a book in Costa Rica. Thaks a lot! Hi Sergio — I’m sorry that this comment got lost! Email Cedric Guigand at cguigand [at] rsmas.miami.edu for permission to use these photos.